In late August last year HTC officially confirmed the Oreo update for the HTC U Ultra and it is finally here. 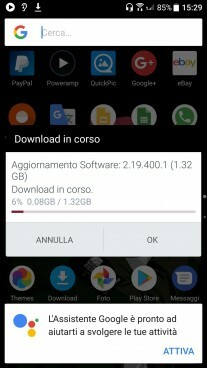 The update is rolling out in Taiwan and India and Italy at the moment. 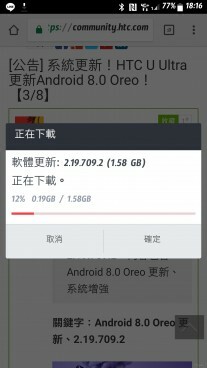 The update brings the OS version up to 8.0 and the firmware is version 2.19.400.1. Some users are reporting 2.19.709.2 instead. There’s a difference in the size of the update too – the former is 1.32GB, the latter is 1.58GB. 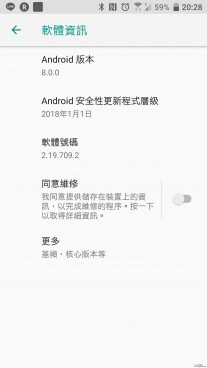 It seems that the Android security patch level is January. The changelog is pretty vague – beyond the OS upgrade, there are “system enhancements”. That’s still good in our book, so go on and check if the Oreo update has reached your U Ultra. hi anyone know how to active 2nd sim ..1st sim working fine ..but 2nd sim no popup nothing .only available 2 slot nano sim ..
With the price drops, I'd get this phone over most mid range phones today.